Therapy dogs have done a great deal to improve people’s lives. They provide comfort and friendship to those stuck in stressful or emotional situations, and they do so without bringing any judgment. In Chicago’s Lane Tech College Prep, students got a break from all the final exam stress and anxiety thanks to some therapy dog snuggling time. Certified therapy dogs and volunteers made rounds in the school to provide relief to anxious students. This is the second year that the dogs brought comfort to the Chicago-based school. “It’s stressful around finals time. It’s a selective school, so a lot of them are in AP classes,” assistant principal Sarah Hanly told the Chicago Tribune. Students experience a lot of tension and anxiety when it’s time to turn in final projects and get into the heat of reviewing for final exams. By bringing in therapy dogs, like Waffles the Golden Retriever, the students are able to chase away these negative emotions just by petting and snuggling them. For the students, their therapy dog time is a much-needed break to take their minds off the stress. “I was stressing all third and fourth period, and then people were talking about the dogs. Now I feel better,” said Anastasia Ramirez, a junior student who was able to check out Waffles and experience the activity for herself. Canine Therapy Corps does the job of bringing therapy dogs like Waffles to school environments. And it appears that young students truly need these visits. “This age group benefits really well from the activity,” said Monica Synecky. She volunteers with Canine Therapy Corps and is Waffles’ owner. 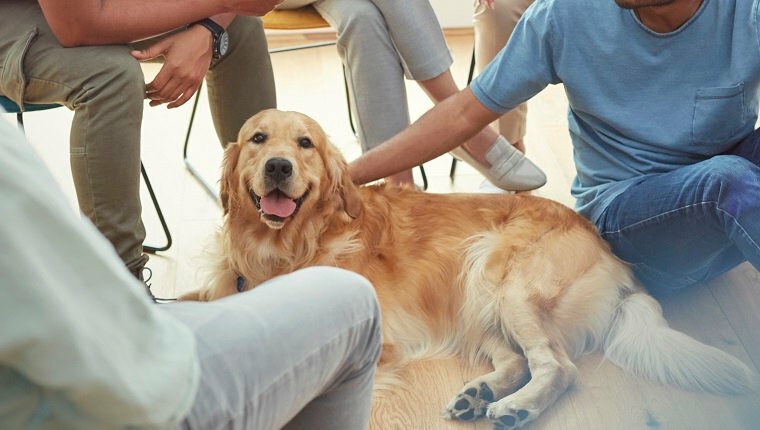 A study has shown that college students can ease their stresses in academics through animal-assisted stress reduction programs. In these programs, handlers bring therapy dogs to school campuses and assist with the dogs as they comfort and play with students. The therapy dogs ease stress levels and reduce loneliness and depression. This second aspect is important, as these negative emotions are quite pervasive in the college level because many students are getting used to living away from home for the first time while dealing with other stresses like learning and making friends. Emma Ward-Griffin conducted the study with 246 students and found that students who got to cuddle and interact with dogs saw some strong benefits. They showed markedly increased happiness, improved energy levels, and reduced stress. The activity significantly altered students’ perception of stress and provided social support. The benefits went beyond feelings of happiness. Students felt more connected and less negative emotionally. The study showed therapy dogs benefited both men and women, even with only drop-in sessions. 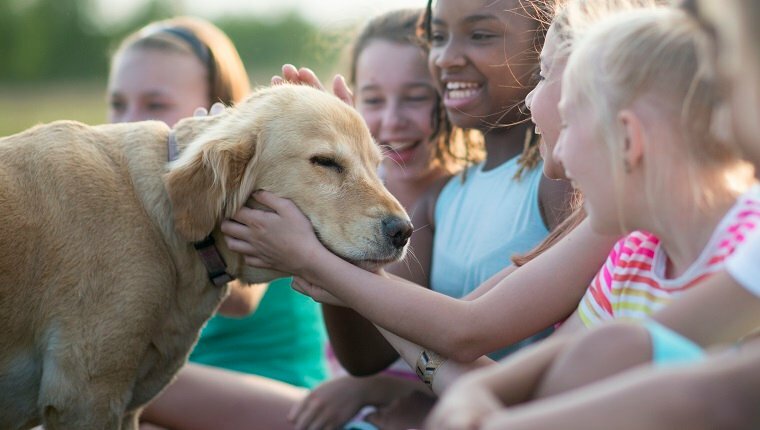 What do you think of dog therapy sessions for students? Do you think these benefits are helpful for them? Let us know below!